Yehudi Menuhin was the most prominent classical musician of his generation to embark on cross-genre collaborations and his work with Indian musician Ravi Shankar and jazz violinist Stéphane Grappelli has become famous. 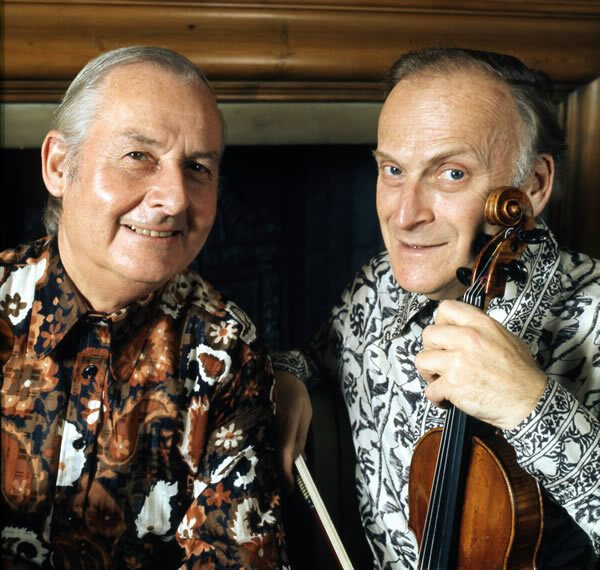 Curated by British violinist, songwriter, composer and Artistic Director of the JMI, Sophie Solomon, this evening will celebrate the musical diversity of the violin across genres in a tribute to Yehudi Menuhin. An all-star line-up with Tcha Limberger, John Etheridge, Dave Kelbie, Flora Curzon, Andy Crowdy, Sheema Mukherjee an Twelfth Day. Presented by the Jewish Music Institute in association with the Menuhin Competition.